It was not an easy decision for Milena Petrosian to open Polkatots in 2008. With a tight budget especially at a disastrous economic time. Took matters into her own hands and had a 100% belief in her concept and idea. Milena was very young when she began helping out her father at his bakery and he soon relied on her to help run a business. Soon she decided to attend culinary school and became a Chef at Le Cordon Bleu Culinary School in Pasadena, CA. A couple of months after graduating, her father Araik opened another bakery and Milena was soon in charge. At only 20 years of age, Milena was cutting the ribbon for Polkatots Cupcakes. In June of 2012, Milena decided to expand her vision of Polkatots by opening a new location in Montrose, CA. So, ladies and gents, we give you POLKATOTS!! Eat, enjoy and come back soon with your friends. The story shall continue. NOT THE END!! that has made that possible. At Polkatots we are grateful for that and we love giving back. We support Non Profit Organizations and Foundations helping them to meet their goals by becoming part of their Events. 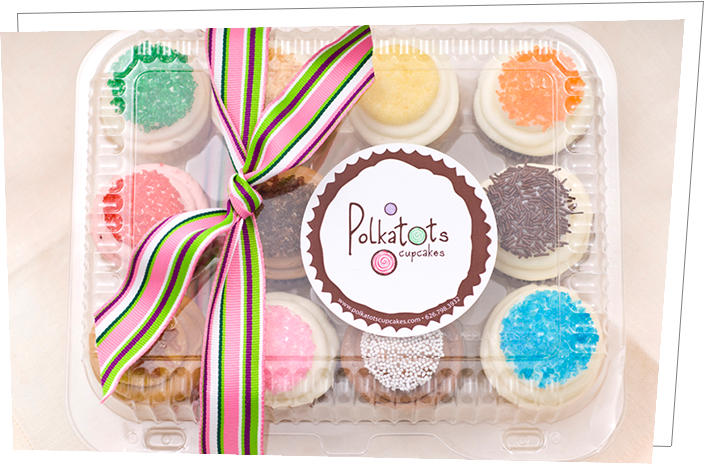 Ever since Polkatots opened its doors in 2008 we have donated Cupcakes to numerous charitable and noble causes. It makes us happy to contribute as much as we can. We loving giving back to our community.